AUDUSD is chiefly under the influence of strong U.S. statistics and oil prices. 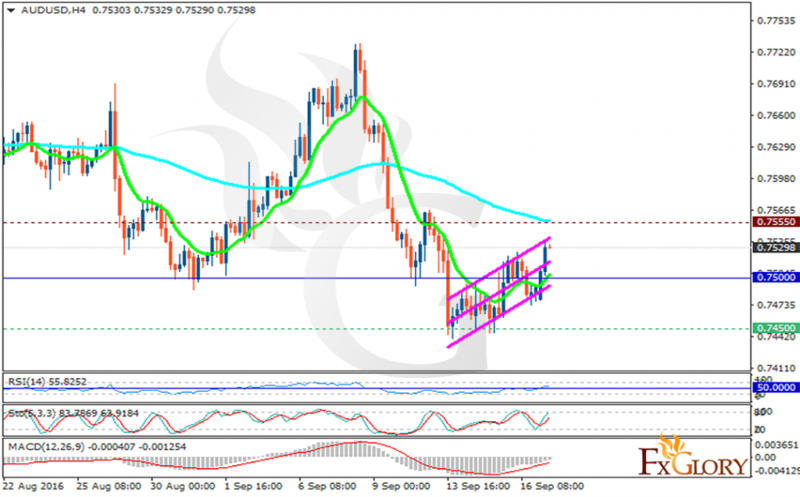 The support rests in 0.74500 with resistance at 0.75550 which the weekly pivot point is located in between at 0.75000. The EMA of 10 is moving with bullish bias below the EMA of 100. The RSI is moving above the 50 level, the MACD indicator is negative territory heading up and the Stochastic is moving upward momentum. The pair looks bearish at the moment while 0.75 seems to be a strong resistance area therefore short positions are recommended with the target at 0.7460.